Two passions. One pack. This next-generation design is built to help you go fast and light. UltraCinch design secures photo gear for bounce-free protection. Keep hydrated with a 2-liter dedicated hydration pocket. 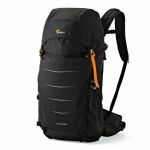 Photo Sport BP 300 II AW is designed to protect your photo gear in the UltraCinch™ chamber, and all of your journey's essentials in the open space. 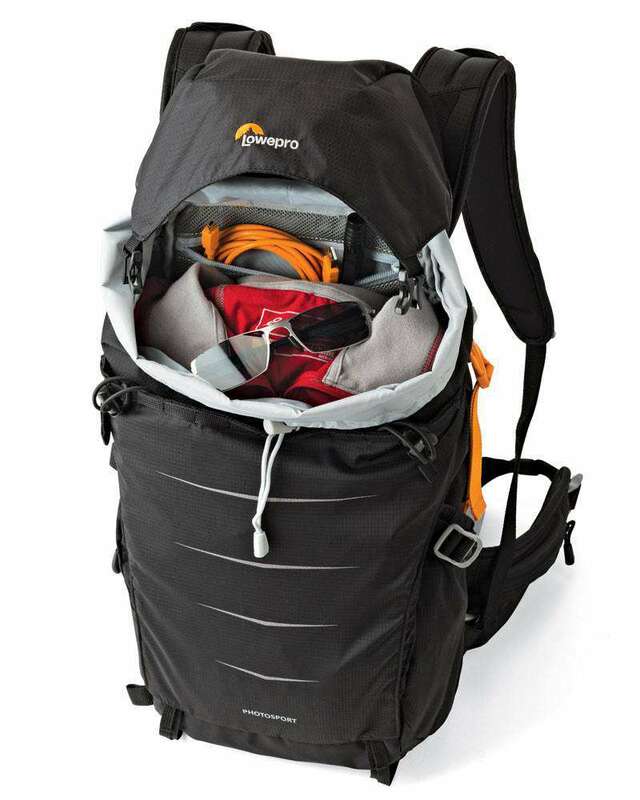 Extra gear such as bike helmet, jacket, snacks, sunglasses, compact tripod, etc. Your passions for photography and outdoor adventure demand lightweight protection, active comfort and fast access to your gear. The Photo Sport combines your passions into one high-performance pack. When moving fast, your camera gear can't be loose and unsecured. UltraCinch™ allows you to tighten the space around your gear while the ActivZone™ suspension holds the bag snugly to your body. 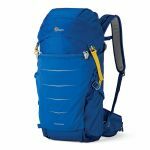 Run, hike, bike, trek, board or climb, no matter your calling, the super-light Photo Sport II is designed to deliver on the move. 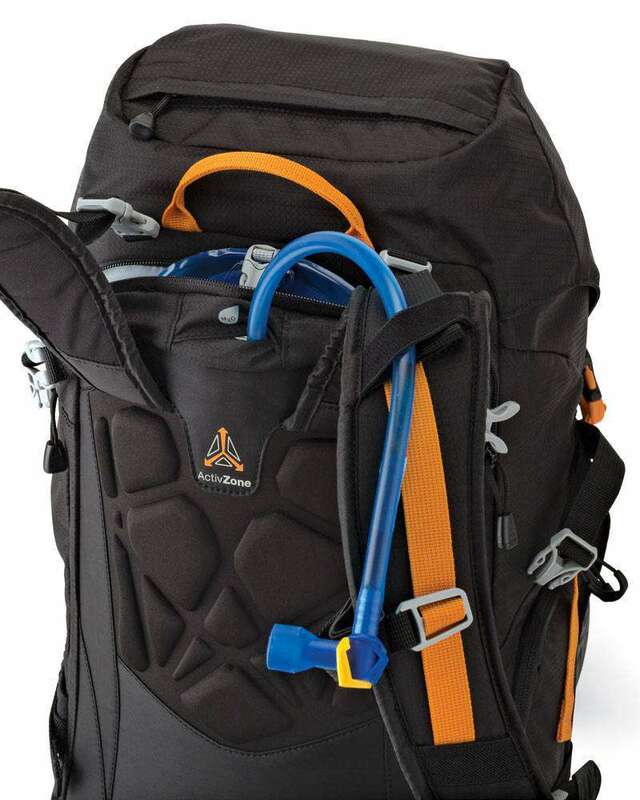 Keep hydrated with a dedicated space for a 2 liter Camelback® or Platypus® reservoir (not included). Quick-release buckles and routing for the mouthpiece ensure ease of use on the trail. Our updated UltraCinch™ design features a single pull-tab which tightens the padded photo compartment around your camera, yet allows quick access when you need it. 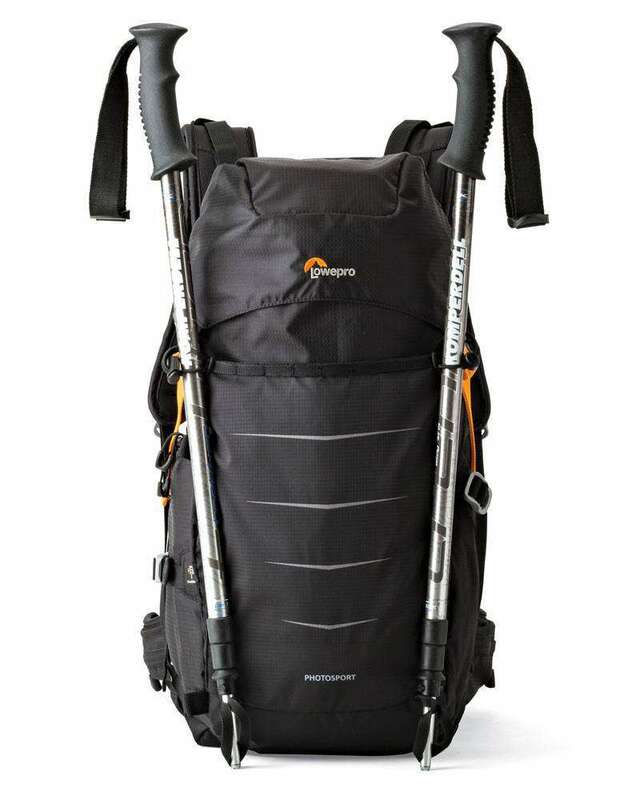 Multiple attachment points and gear loops let you easily attach equipment (such as trekking poles or a small tripod) to the outside of the Photo Sport. 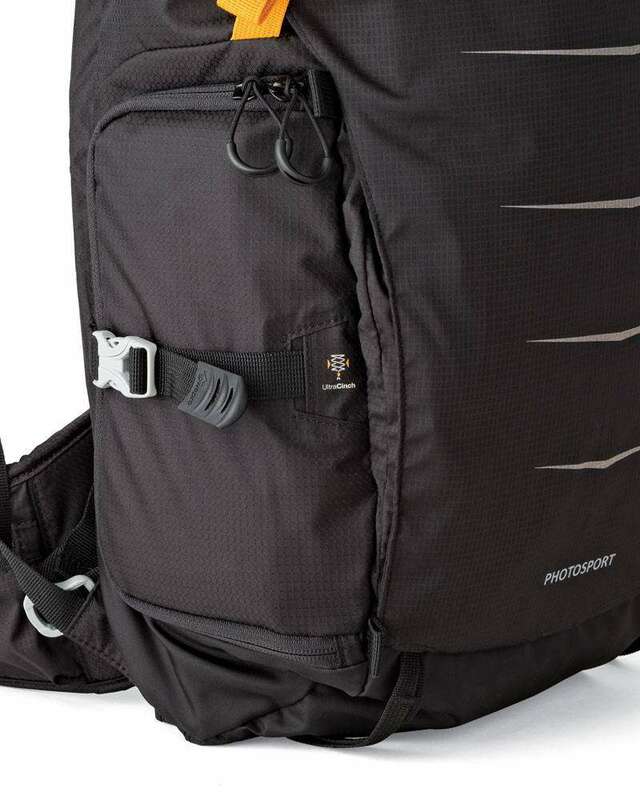 Four compartments ensure you have room for personal gear beyond the camera compartment. 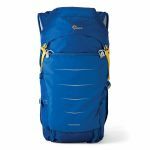 Pack the top-loading main compartment, zippered top pocket, front expansion pocket and side pocket for your gear and activity. 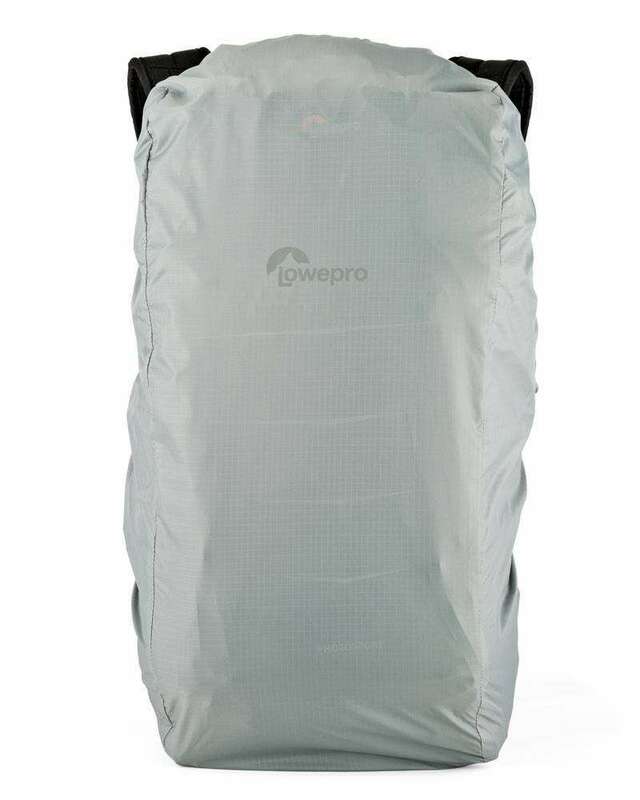 Super lightweight N100 nylon with UTS coating provides the first level of weather protection. For added protection in heavy weather, deploy the attached All Weather AW Cover™. 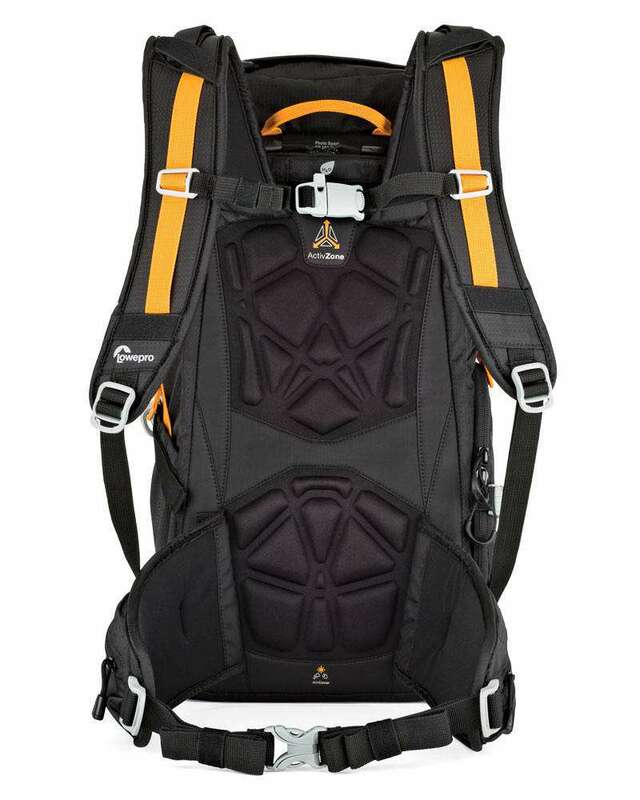 Padded and adjustable in all the right places, the ActivZone™ harness system makes the Photo Sport feel like a part of your body while hiking, biking, running or climbing. 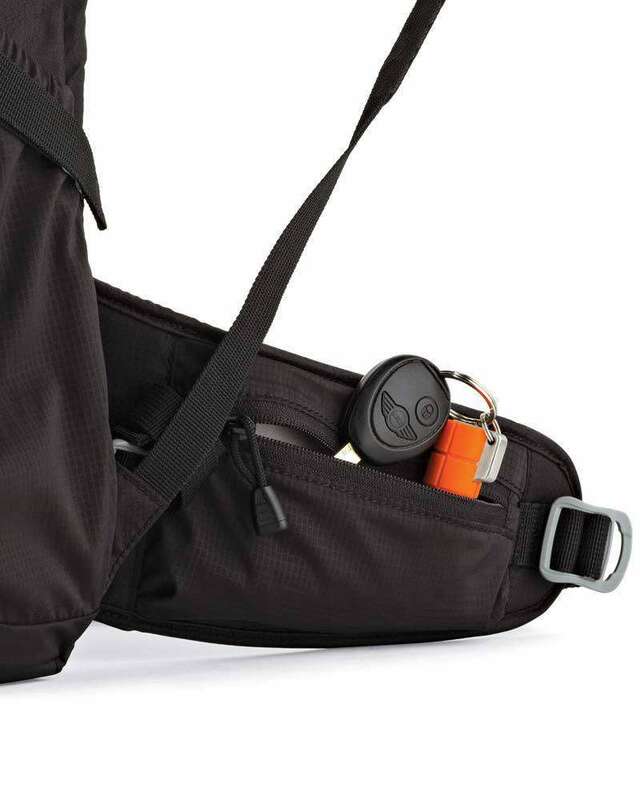 The stabilizing waistbelt also includes zippered side pockets for quick-grab items while in use. Weather resistant, high-tech materials mean you don't have to stop because of a little rain. For more serious weather, deploy the All Weather AW Cover™ for superior protection.